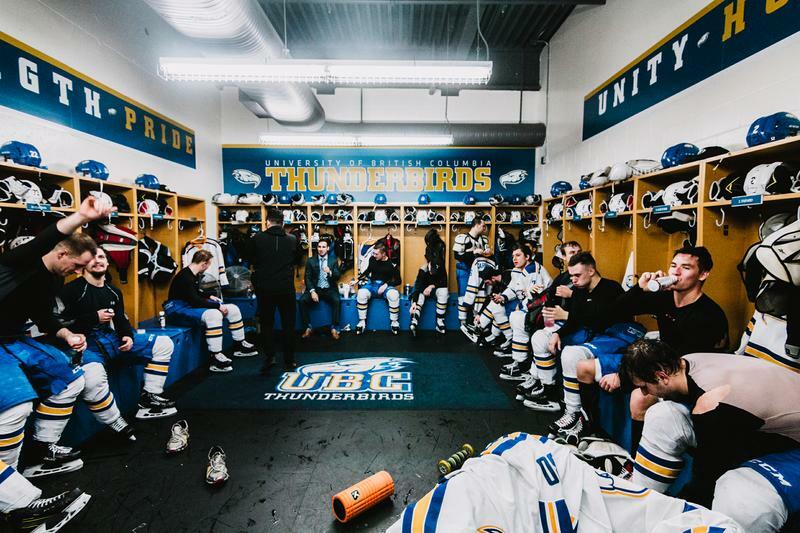 For the UBC Thunderbirds men’s hockey team, there will be comfort in knowing they head into a West Coast run on a positive note. With a pair of wins against Winnipeg, they now sit fourth in Canada West with a 7-5 record. Although they won both games by a score of 4-3, they each had different storylines. In the first game, UBC fell behind 1-0 in the first period before scoring three unanswered goals that put them ahead with under 10 minutes to play in the third period. The Bisons made a comeback though, responding with two goals of their own and tying the game with less than five minutes left in regulation. In the end, it was a tripping penalty by Manitoba’s Brett Stovin that proved to be the difference, as UBC capitalized on the one-man advantage with defenseman Josh Connolly providing the game-winner. Connolly wasn’t done with his heroics however. After falling behind by two goals in the first period of their second game, UBC rallied to tie and send it to overtime. Connolly netted his second game-winning goal less than a minute into the second OT to secure the sweep. After the second game and in an interview with UBC Athletics, coach Sven Butenschon talked about the resiliency that his team displayed over the weekend set, explaining how the accumulation of injuries and illness required the team to put forth “a full team effort” in order to beat the Bisons. Now with a record above .500, the ’Birds head into a home stand with games Regina and then Lethbridge, before closing out the first half of their season for the holiday break. So far this year, UBC has remained firmly planted in the middle of the Canada West standings, with Alberta, Calgary and Saskatchewan establishing themselves as the ones to beat if UBC wants to make it out of the conference and into playoffs. It will certainly be a daunting task for UBC to beat any of those three sides, as the T-Birds have only won one game out of the six they have played against the trio. In terms of individual performance, there have been many bright spots for the Thunderbirds this season, particularly upfront. First-year forward Maxwell James continues to be a dominant presence in the Thunderbirds lineup, both physically and statistically. His four points over the weekend against Manitoba tie him for the lead in scoring among Canada West rookies. Richmond native Carter Popoff has also been productive on the stats sheet, tying with James for the overall lead in scoring on the roster at 10 points. Both players will need to continue their successful seasons in the upcoming games against Regina and Lethbridge. Both sides are behind the Thunderbirds in the standings, which means UBC will be favoured to win in these home games. That provides UBC a welcome opportunity to gain better playoff positioning and carry some momentum into the winter break, hopefully putting them on the right foot going into the final stretch of the regular season starting in January.